Follow Horatio on his globe-trotting adventure as he takes tasty treats to some of the wackiest customers on earth. Keep a level head and a steady eye on those orders in this exciting Time Management game. 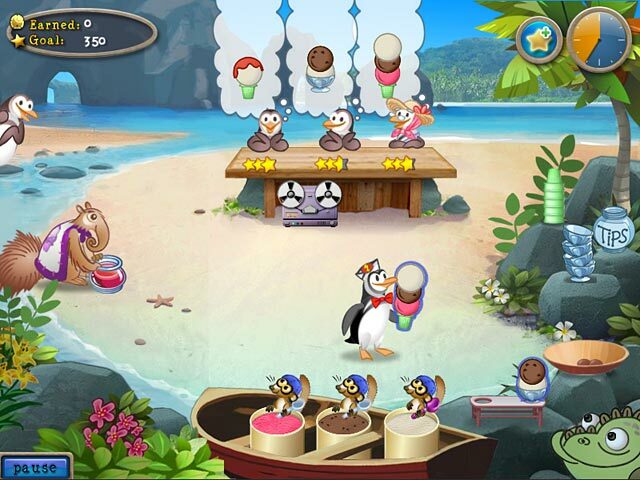 You'll meet persnickety pirates, crusty penguins, ravenous cubs, and and the rest of their ice cream loving friends. 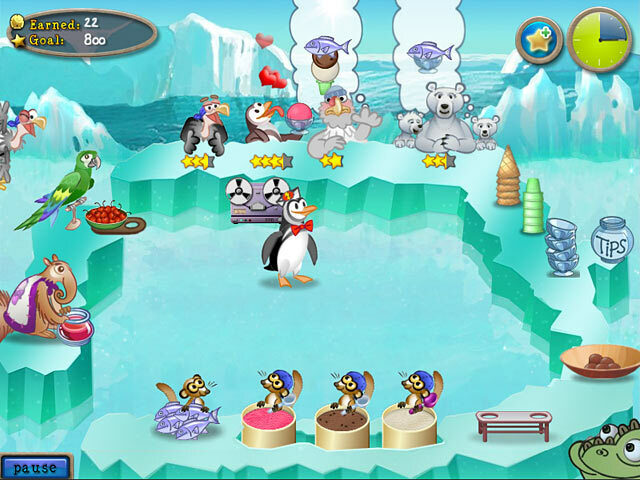 Tour paradise and become the fastest scoop in the animal kingdom! 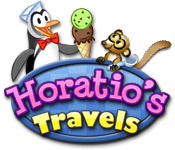 Horatio's Travels is rated 5.0 out of 5 by 5. Rated 5 out of 5 by chersbldhnd from Sooo Cute! I really like this game-challenging but not frustrating. The characters are adorable! 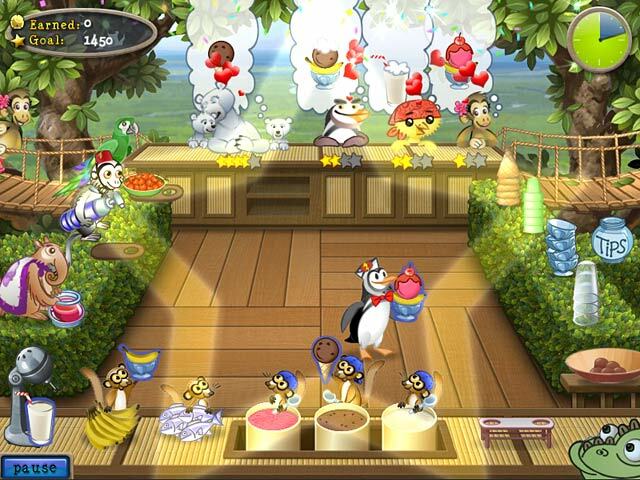 Rated 5 out of 5 by aok_d from Super Cute Not very challenging, but cuteness makes up for it. A happy game - sound effects when captain character gets aggravated are awesome. Rated 5 out of 5 by tailswhiskers from This game is a very fun and relaxing game I was looking for a time management game to play. I saw this game and I downloaded it. I started to play and it was fun. This is a child's game, but an adult would like playing it to. I would recommend this game. Rated 5 out of 5 by mele091954 from Horatio's Travels This was a easy but fun time management game and I would play it again. You had to be fast, but could be a expert on every level. Rated 5 out of 5 by TANKA from Excellent game! This game isn´t hard, so you won´t be frustrated. It´s rather relaxing. The graphics are very nice. I enjoyed this game. I think it´s worth buying because it´s fun to play it over and over. Just looking at the cute animals serving ice cream will cheer you up!